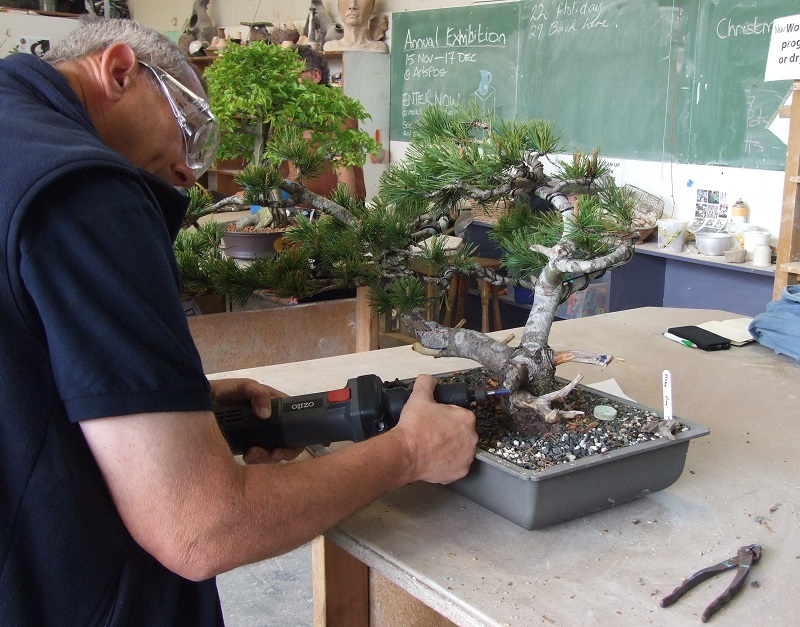 A busy month for Peter preparing our bonsai for the clubs’ annual show. He spent quite some time painting wood and making more backing boards for the displays. The show was our biggest and best yet. 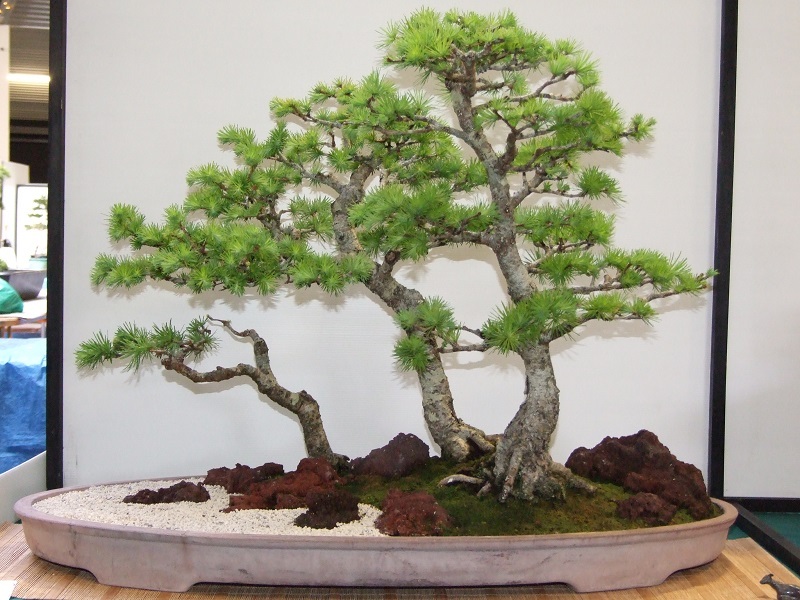 We managed to put 23 trees in to the display – out of a total of 160 bonsai. 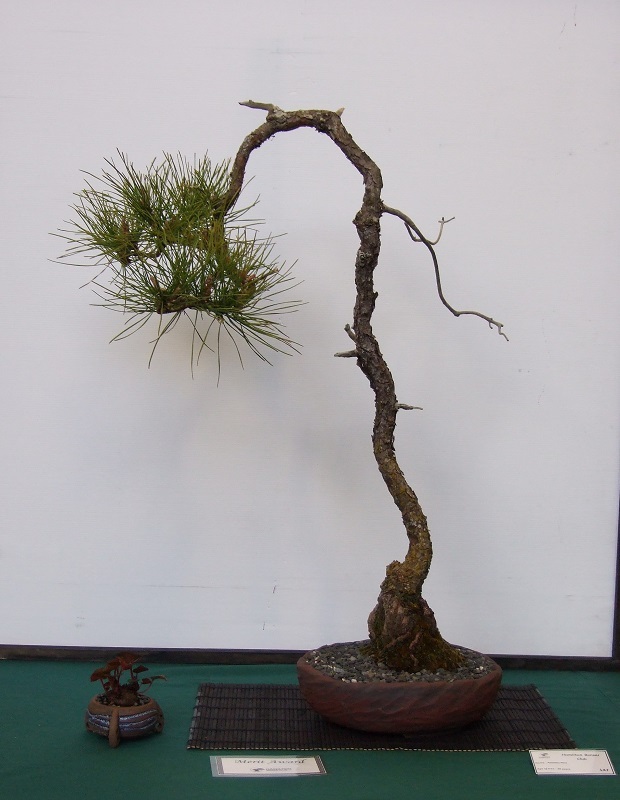 Ann came away with 2nd place for her Larch group and Peter got a Merit award for his Black Pine. Ann’s Larch group also won the People’s Choice award. An ex-student of Ann’s and her mum came to visit. 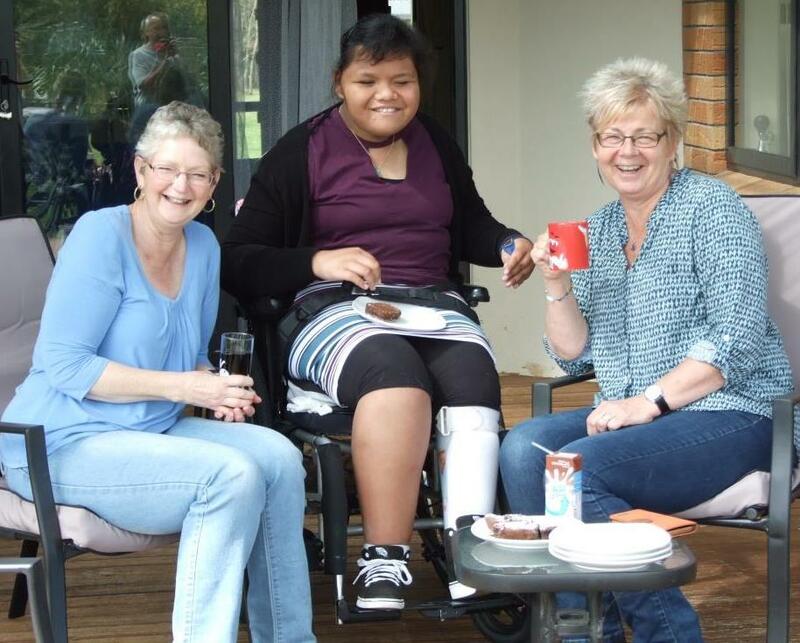 Azaria was very excited to have morning tea! 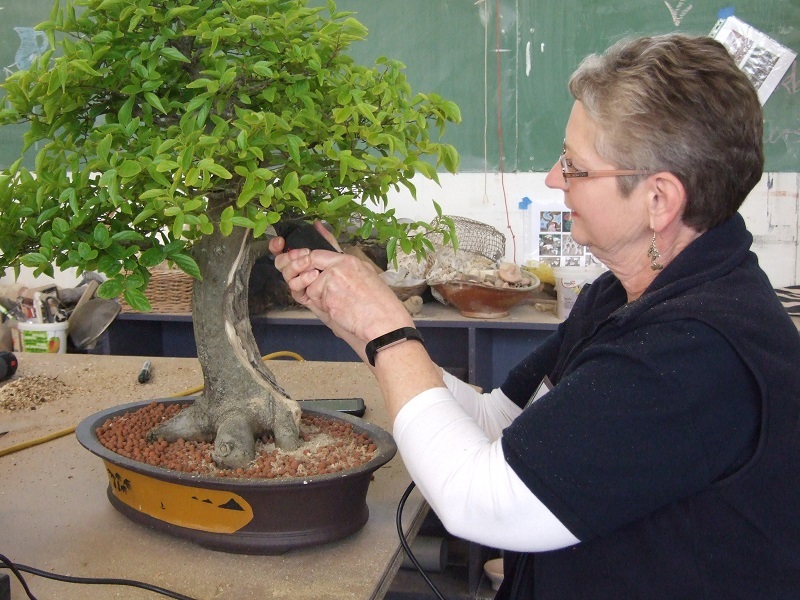 We were busy with other bonsai stuff as well as the show. We had our monthly meeting, a carving workshop with Will Baddeley from the UK and our normal Sunday afternoon at Bunnings. The workshop with Will was great. We both took along a few trees with different amounts of carving to be done. When we got there we chose one which would give us a good deal of fine work. Over the day we worked under Will’s supervision using a number of different carving bits. The end result was some very good looking deadwood on our trees and an order for more carving bits from our local supplier! Peter has also made a start on our firewood for 2019. He’s cut down most of the Honey Locust trees and the wood is now in the wood shed drying out. All the small stuff has been chipped and is ready to go down as a mulch. Nothing wasted here. A little bit of good news on the job front. 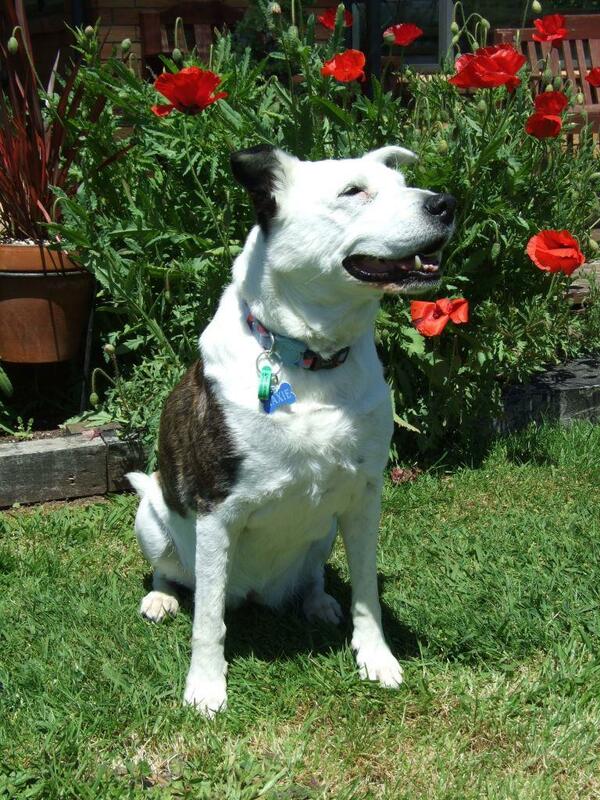 Peter has been asked to become an IT contractor for a firm in Auckland. If it goes ahead he will be working in Te Kuiti and Hamilton. The girls are fine although Maxie doesn’t like the taste of her medicine and sometimes runs away from Peter as he approaches with the syringe! Maxie’s also been getting a little fed up with her dried food. Now she’s on a renal diet the choices are very limited so last week Ann got some powdered gravy, mixed some up and poured it over the dried food. Success! A much happier girl eating her dinner now. Honey also has the gravy on her food (it’s basically flour, water and caramel flavouring so nothing for her to be allergic to) although she is just as happy scoffing the dried food down any old how. That girl is not at all fussy! 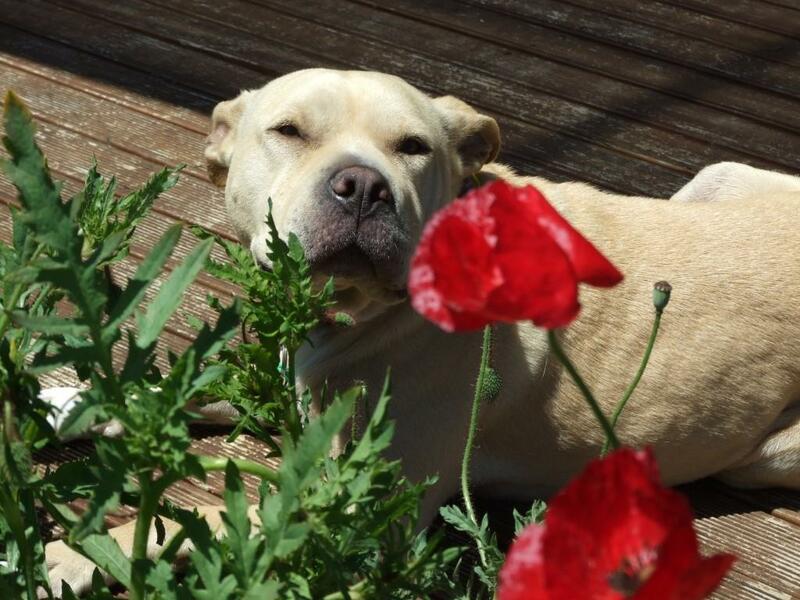 The weather is warming up, the plants are growing and the dogs are enjoying the sun. Our Remembrance poppies are growing beautifully too.